Curry required crutches after hobbling off in the second half of Saturday's 12-11 victory over the Springboks and is being assessed at the squad's training base. Jones is "not sure" if Curry will feature again in the November series. 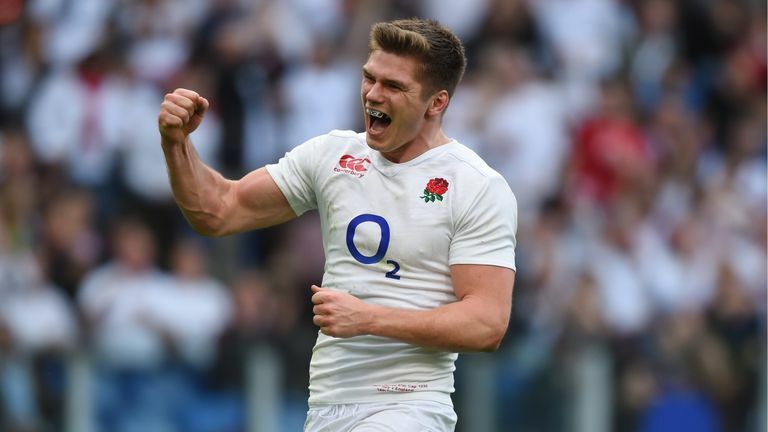 When asked if Curry will be fit to face the All Blacks, Jones told Sky Sports News: "[It is] highly unlikely. He is going for an examination now and the news probably is not going to be too good. It gives an opportunity for someone else to play No 7. "We have got [Sam] Underhill or [Mark] Wilson that can play No 7 and there is an opportunity for [Zach] Mercer to play No 8." Centre Manu Tuilagi (groin) and lock Courtney Lawes (back) could return against New Zealand after missing the win over the Springboks. Jones said: "[Tuilagi] did some running yesterday so he is coming along nicely. We expect him to be in full training by Tuesday so that gives him the opportunity to be available for selection. "Lawes is similar to Tuilagi. He did some running yesterday and looks in pretty good nick. He will fully train on Tuesday." 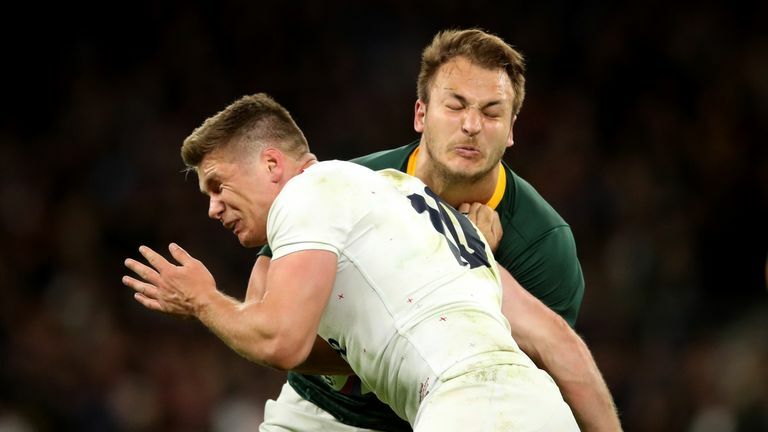 The injury to Curry and the potential return of Lawes could prompt Jones to make multiple changes in the back row, with the Australian reluctant to drop either of George Kruis or Maro Itoje. "Maro and George Kruis were both outstanding on the weekend," Jones said. "But there is always the opportunity to play Maro at No 6 and for Courtney to come in so it gives us some good options there." 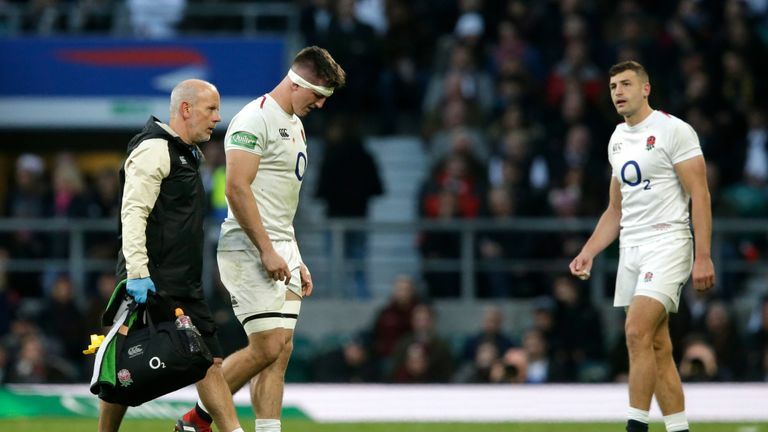 England prevailed by the slimmest of margins against the Springboks with a controversial tackle from Owen Farrell in injury time proving to be a talking point but for Jones the result is all that matters as he prepares his side to take on the No 1 team in the world, New Zealand, this weekend. "Everyone comes in with a spring in their step," Jones said. "One bounce of the ball the other way and you come in and you are dragging your heels, and it is a bit harder to get the players up. "But there is a good attitude and a good atmosphere in the camp and we are looking forward to ripping into the All Blacks." #Followtherose this autumn with all of England's Tests live on Sky Sports throughout November. The action continues on Saturday against New Zealand before clashes against Japan and Australia.